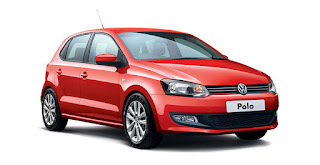 Richard's auto-electrics blog: VW Polo 2014 remote central locking installation. Basic auto electrical installation techniques and product reviews for the European market. VW Polo 2014 remote central locking installation. This installation was actually done to my dad's VW Polo 1.2, 5 door. The car came with normal central locking but no remote. I originally struggled to find any information regarding installing remote central locking to the VW Polo. After a bit of a search on Google, I found out the locking system was 180 ohm resistive and negative to trigger. This was about all the information I could find. So I had to do quite a bit of testing on the car. With the correct information this installation should take between 30 and 40 minutes to complete. On a UK car: Remove the drivers side sill and kick panel. This should be the only trim you would need to remove from the car. Under the dash on the drivers side below the steering wheel, you will find the main internal fuse box for the car. Here you will find the permanent live feed required to power the central locking interface. You can get to the wires fairly easily, without needing to remove the fuse box. Strip back about a centimetre of shielding on the red cable to expose enough cable to solder on to. Look for the wiring loom that enters the drivers door through the kick panel. With the stanley knife cut the loom tape and unwinding from the loom. (A little trick I use, is to have an old small reel of electrical tape. Wind the loom tape around it to keep it out of the way. It will also make it easy to re-loom the harness when you're finished). With the loom unwound, look through to find a thin blue wire with a red trace. This is the negative central locking wire. Be aware there are some other cables that active when the central locking is activated, however they will not work with remote locking. I had a lot of trouble finding a factory ground point, so I drilled a 3.0mm hole in the metal work of the kick panel itself. Preparing the central locking interface. I used an Autowatch AN0030 interface to complete the job. However there are other CDL interfaces available. I used the Autowatch interface because I am familiar with their products and I have found them to be very reliable. The interface needs to be wired for negative pulse locking. So follow the instructions with your interface to wire it. The Autowatch interface also comes with two wires to give you indicator flash, however these are not required on this particular vehicle. The indicator cables can be cut from the interface harness and taped back. On the interface harness find your lock and unlock wires. Cut the unlock cable and solder the two 90.1 ohm resistors in parallel and heat shrink. This will give you 180 ohm resistance for the unlock. Connecting to the Polo. There's a flat spot in the kick panel near the bulkhead where the interface box can be mounted. The Autowatch interface comes with a large double sided sticky pad for ease of installation. Remove the fuse from the interface harness, this means the interface will not be live when you make your connections. Put a ring terminal on the earth/ground cable of the interface and locate in the 3.0mm hole you've drilled in the kick panel. Next connect the red permanent cable to the thick red cable you've stripped at the fuse box and solder and tape (ensure that there are no bare wires showing). Next connect both the lock and unlock cables to the thin blue with a red trace at the door harness and solder and tape. Before re-looming the door harness and other cables, testing is a must. Replace the fuse into the fuse holder of the interface and test. With the drivers door open, click the locking mechanism with a screwdriver to the shut position. This means you can test without having to shut the door. Now press the lock button on the remote and make sure the car locks. You will also get a single indicator flash and the doors should lock. Now test the unlock. Press the unlock button on the remote, you should get three indicator flashes and the doors should now unlock. Re-loom all of the harnesses that have been stripped back and replace the kick panel and side sill. Release the drivers door mechanism with the door opening handle. Shut all the doors and test again. Ensure that all operations work as they should. That's the installation complete. Nice and simple. If you are really not sure what you are doing then don't attempt this installation. There is a chance if you do it wrong, you may cause a problem with the central locking module on the car. Unfortunately I don't have any photos of the installation as the camera on my Google Nexus 4 phone wasn't working and I didn't have another camera to hand. I hope this information helps anyone trying to install remote locking to a VW Polo 2012 onwards. MY DAD'S VW POLO IS A 64 PLATE 2014 VEHICLE. BE AWARE SOME WIRING COLOURS ON THE CAR MAY BE DIFFERENT DEPENDING ON THE YEAR OF THE CAR. MOST, What does it mean?